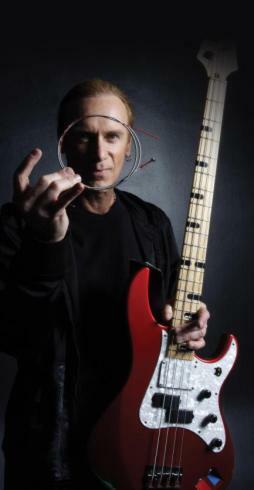 Rotosound announce an exclusive UK workshop tour with the legendary bassist Billy Sheehan, at three PMT (Professional Music Technology) shops in October 2010. Known for his bass work with Steve Vai, David Lee Roth and Mr. Big, Billy has won many awards and continues to be one of the most in demand players. He will demonstrate his jaw dropping technique with the use of chording, two-handed tapping, right hand "three finger picking" technique and controlled feedback as well as giving an incite to the industry and his career. The events include a question and answer sessions, an opportunity to meet Billy to get his autograph and will be an opportunity to see up close one the worlds most technically accomplished players in a comfortable and intimate setting. Billy has been a Rotosound endorsee for over 25 years and his signature stainless steel roundwound strings have helped shaped his unique sound. He will also be playing a further masterclasses in association with Rotosound at the Bass Day UK in Manchester on the 10th October.